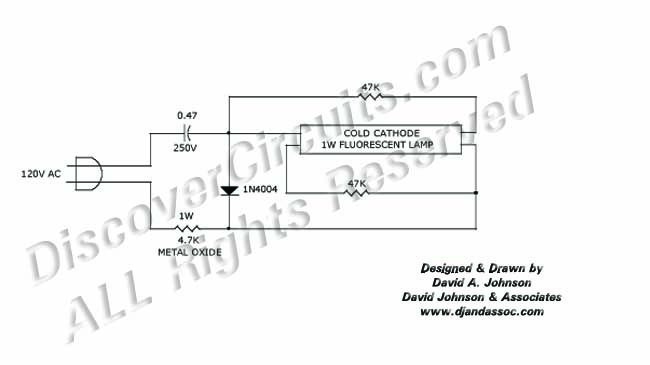 Circuit: 1 WATT FLUORESCENT LAMP NIGHT LIGHT __ Circuit designed by David A. Johnson, P.E. If you are tired of replacing small night light lamps, try this circuit. The line powered circuit uses a long life cold cathode fluorescent lamp. A simple charge pump technique runs the lamp without any transformer.